No. 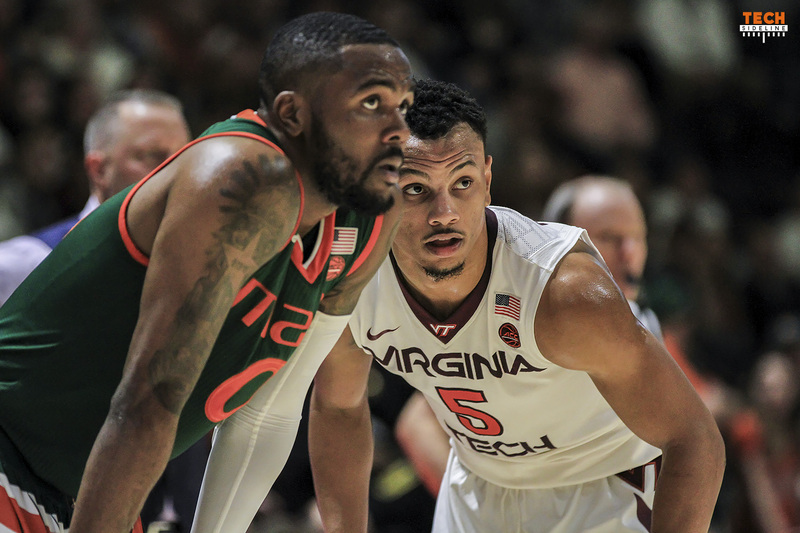 11/12 Virginia Tech will look to improve to 17-3 overall and 6-2 in the ACC when they travel south to take on Miami (9-10, 1-6) in an ACC game on Wednesday night. The Hokies are coming off a dominant home win over Syracuse, while the Hurricanes have been struggling all season. Miami started the season well enough, going 5-0 through their November 23 win over Fresno State. That’s when things started going south for Jim Larranaga’s group. An 83-81 loss to Seton Hall on November 25 was the start of a five game losing streak that included defeats at the hands of Rutgers, Yale and Penn. Overall, since they began 5-0, the Hurricanes are just 4-10. Their lone ACC win came against (you guessed it) Wake Forest. Miami has just one win over a top 150 team all season, and that came against a solid but unspectacular Fresno State team. It’s also worth mentioning that they’ve had some tough losses, including a 5-point setback against NC State, a 5-point defeat at Florida State and a 9-point loss against North Carolina. Still, this isn’t a team that’s inspiring much confidence right now, and after they host the Hokies, their next game will be on Saturday at UVA. Miami has been good enough offensively, but they’ve been woeful on the defensive end, and they can’t keep the opposition off the offensive class. Their defensive struggles bode well for the Hokies. Much has been made of Virginia Tech’s lack of depth, and the Hokies rank No. 320 in the country in minutes per game played by the bench. However, that shouldn’t be an issue against Miami, as the Hurricanes rank No. 340 nationally in minutes played by the bench. G Chris Lykes (5-7, 157, So. ): 16.6 ppg, 3.5 apg. Lykes is the smallest player you’ll see on Virginia Tech’s schedule this season, but that doesn’t mean he can’t play. He leads the team in scoring, and he had 15 points against the Hokies in Miami a year ago. G Zach Johnson (6-2, 192, r-Sr.): 13.7 ppg, 3.3 rpg. Johnson is one of 14 active players with 1500 career points and 350 career assists. He also leads the team with 30 steals. He is a graduate transfer from Florida Gulf Coast. G Anthony Mack (6-6, 214, r-Fr. ): 3.1 ppg, 1.3 rpg. Mack may start, but he’s only averaging 16.9 minutes per game. G Anthony Lawrence II (6-7, 207, Sr.): 12.1 ppg, 5.4 rpg. Lawrence is Miami’s most experienced ACC player, having played in 60 career league games. C Ebuka Izundu (6-10, 232, Sr.): 11.5 ppg, 9.1 rpg. Izundu is a legit low-post threat for the Hurricanes. The Hokies have to deny him the ball so that Kerry Blackshear doesn’t get into foul trouble. Miami only has two players who regularly come off the bench. G DJ Vasiljevic (6-3, 184, Jr.): 11.6 ppg, 4.5 rpg. Vasiljevic averaged 15 points per game in two meetings with the Hokies last season. F Sam Waardenburg (6-10, 216, r-So. ): 4.8 ppg, 3.6 rpg. Waardenburg is a New Zealander who can sub for Izundu at center, or he can play power forward to create a bigger lineup. Believe it or not, Virginia Tech is in the top half of the ACC in preventing offensive rebounds. Miami isn’t quite as good on the offensive glass as the Hokies, and they struggle to keep the opposition from getting offensive rebounds. 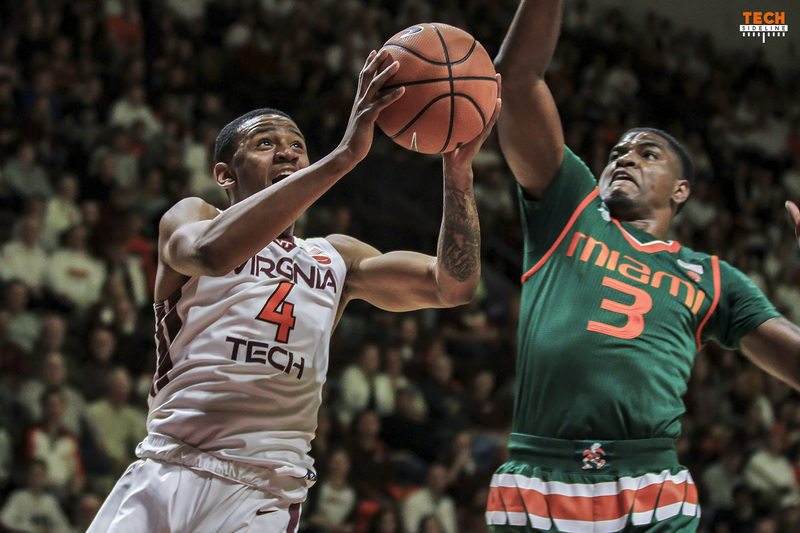 All signs on paper point to Virginia Tech leaving south Florida as winners on Wednesday night. If they do, they’ll have won two ACC road wins, with no ACC home losses. We need to come out “on fire” on both ends. Getting a W, will be excellent since we have not won at Miami in CBW era. We can not be looking ahead to NCSU who look very strong. GO HOKIES!!! Defense travels so Hokies need to come out with energy if their shots aren’t falling. Road struggles have me concerned. Johnson sprained his ankle on Sunday in the game against FSU. I read earlier today Larranaga was very concerned he may not be able to go. Let’s go get another road win! I only recall seeing 7 dressed out for Miami on Sunday…but I was just glancing. A couple of others were probably hiding in their warmups. Johnson (injury) and Izundu (sick) may be out. Line has jumped from VT -6.5 to -9 this morning.